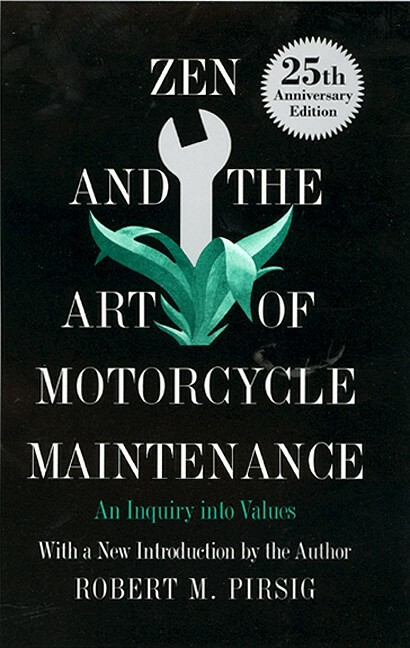 Robert Pirsig's 1974 classic Zen and the Art of Motorcycle Maintenance has sold over 5 million copies and inspired many - not including one unmechanically-minded friend of mine, who commented "Not enough Zen and too much motorcycle maintenance". It's an iconoclastic, non-academic philosophical enquiry into life. Pirsig's own answer - Quality - is elusive enough to understand to stimulate more re-reading and discussion. What did I get from the book? The idea that we can take part in our own philosophical quest, and that the journey may be as important as the destination. Have a browse through these resources, read the book and the follow up Lila: An Inquiry into Morals and make up your own mind. Rhetoric and Madness: Robert Pirsig's Inquiry into Value - essay which conludes "if we can learn from his example, we may achieve the courage to seek out own wholeness through struggle and growth."